Down the hatch, through the stomach and into the cells – the energy trip of food building our bodies! For children ages 8 to 11. Each Language of Dance® Curriculum Unit includes: a framework for the dance material, outlining the Motif symbols, movement and imagery involved, complete lesson plans, suggested music, and where appropriate, cut-out Motif symbols. 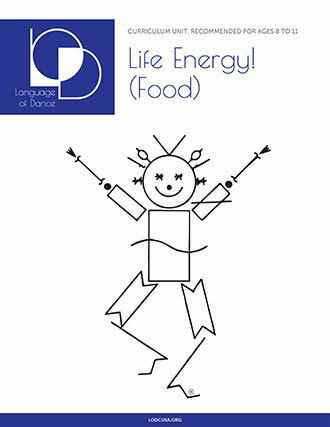 All Curriculum Units should be used in conjunction with Language of Dance® Flashcards.